Sir Richard Branson is one of the latest batch of billionaires to pledge to donate at least half their wealth to philanthropic causes.Twelve new signatories have added their names to the Giving Pledge initiative started by Warren Buffett and Bill and Melinda Gates. Under the pledge, wealthy individuals commit to donating at least half their wealth to philanthropy and Tuesday’s signatories mark the first time billionaires from outside the US have joined the initiative. Sir Richard, the founder of Virgin Group, said his family will invest in “entrepreneurial approaches to help make a difference in the world,” when they take their wealth out of Virgin’s airline, media and other holdings. “‘Stuff’ really is not what brings happiness. Family, friends, good health and the satisfaction that comes from making a positive difference are what really matters,” said Sir Richard and his wife Joan in a letter . Members of the Giving Pledge commit to give away at least half their wealth to charitable organisations and philanthropic causes. Co-founder Mr Buffett is the fourth richest person on the planet with a reported worth of $53.5bn while Mr Gates has a fortune of $66.2bn. 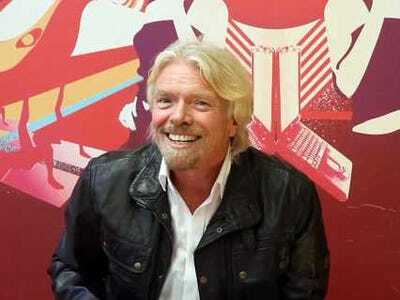 According to Forbes, Sir Richard has a net worth of $4.2bn. Other billionaires to sign up to the pledge on Tuesday include Russian nickel and media mogul Vladimir Potanin and India’s software magnate Azim Premji. A total of 105 families from nine countries have now signed the pledge. “I am excited about the conversations and ideas that will happen thanks to this impressive group of international philanthropists,” said Mr Gates.